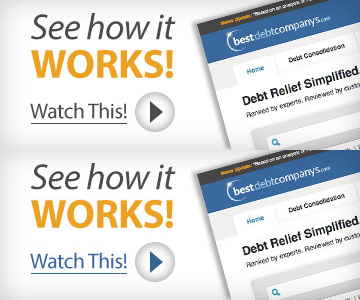 Home » Tax Relief Companies » Taxation Solutions, Inc. The Enrolled Agents at Taxation Solutions are members of numerous industry organizations, including the American Society of Tax Problem Solvers, the National Association of Tax Professionals and the National Association of Enrolled Agents. Each of these organizations provides accountability and ongoing education for tax professionals. 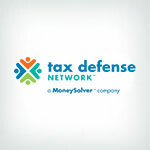 Taxation Solutions offers a fairly comprehensive list of services, covering most tax debt and negotiation needs. This includes help with tax liens and levies, wage garnishments and innocent spouse relief, offers in compromise and payroll tax relief. Their services cover both federal and state tax problems. On our website, there are currently two perfect 10 scores from customers. Both customers were impressed with their resolution results. For example, one customer was able to settle a $94,000 IRS debt for just $2,400. There only seem to be Enrolled Agents and attorneys on staff at Taxation Solutions. They don’t have any CPAs, unlike many of their competitors. This will limit some of the services and expertise they are able to provide their customers. They have no refund policy spelled out on their website, which is always a troubling sign. A good money back guarantee is always something to promote up front, as it puts customers at ease who might otherwise worry about their final bill and resolution results. In general, tax debt relief is a young industry, so it is not surprising to find that Taxation Solutions has only been in business since 2008. However, for customers who prefer a company with a long, stable history, there are better options out there. Taxation Solutions has received some impressive customer feedback. They are a fairly young company, though this is not unusual for their industry. A lack of a clear refund policy is troubling, and as well as their lack of transparency for pricing and their minimum debt requirements. Still, they offer a nice array of tax debt and negotiation help, though adding CPAs to their staff would certainly increase the kinds of services they provide. They have been in business since 2008. The American Society of Tax Problem Solvers (ASTPS), The National Association of Enrolled Agents (NAEA), The National Association of Tax Professionals (NATP), The American Bar Association (ABA) and The Texas Society of Enrolled Agents (TxSEA). Yes, they offer a free consultation. Feel free to contact them to learn more about your tax help options. There is no specific refund policy in place, however we were told that if any problem were to arise which would result in us not wanting to do business with them, they would be happy to work with us. Like many companies, if business is severed they would simply evaluate what work has been done so far and give you any applicable refunds. There are no upfront fees for anything. They do require a retainer for the attorney, then will construct a three to six month payment plan for you. At first I was concerned about Taxation Solutions, they were moving slower than I wanted them too. However, they came up a solution to my IRS problem that I never thought possible. We just settled my $94,000 debt for only 2400. Yes, there were bumps in the road because I didn’t believe them when they said we could get things done and I wasn’t always willing to help or give information. But once we overcame the hurdles it all worked out. I truely believe this is the best company they did everything they can to help me. Christy was awesome help all along the way! They help Settle my tax debt. I’m a retired teacher and the IRS said I owed $102,000 and Taxation Solutions, told me they could settle my debt for less. Didn’t know how low they could get it but they settle my debt with the IRS for $392. Wow just couldn’t believe it.